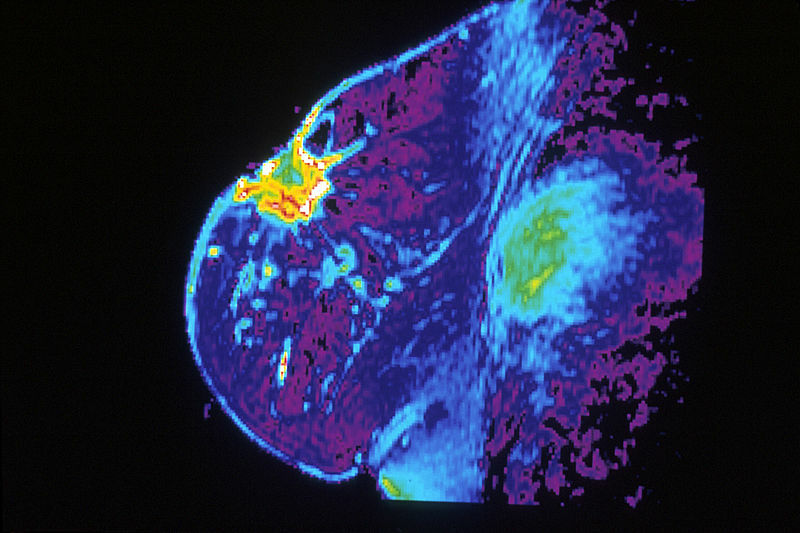 MRI of a breast with cancer. Image courtesy of the National Cancer InstituteUC San Diego medical researchers said Monday they are recruiting patients for a clinical test of a new antibody designed to be used in tandem with chemotherapy to treat certain breast cancers that cannot be removed surgically. Researchers plan to recruit up to 15 eligible patients for the trial, in which they will take the drug, called cirmtuzumab, in combination with a chemotherapy medication derived from the Pacific yew tree for six months. UCSD researchers developed cirmtuzumab along with the California Institute for Regenerative Medicine and UCSD’s Alpha Clinic. Cirmtuzumab targets a protein present in tumors but not in normal adult body tissue, allowing it to target cancer stem cells. The drug was originally meant as a potential treatment for chronic lymphocytic leukemia and is now being tested on other types of cancer. UCSD researchers launched a trial earlier this year to study cirmtuzumab’s effect when paired with a small molecule drug called ibrutinib and are continuing to recruit patients with chronic lymphocytic leukemia and mantle cell lymphoma. New diagnoses of breast cancer in women and men reach almost 270,000 annually, making it the most common form of cancer, and result in an estimated 41,000 deaths every year. Similarly, chronic lymphocytic leukemia is the most common form of blood cancer, with an estimated 21,000 new cases and 4,500 deaths annually.